Hi lovelies! 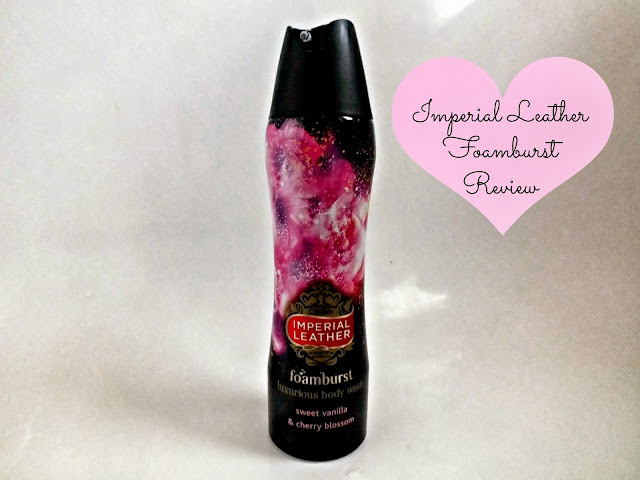 Recently, I was contacted by the lovely people at Imperial Leather and asked if I'd like to try one of their newest products 'Foamburst' Shower Gel. Funnily enough, I opened the email just after getting back from Tesco, where I'd spotted the product for the first time. I was going to pick one up, but thought about all the other bath and shower products I had at home and decided against it. However, when I got home and read the email, I figured it had to be fate, right? Right! I've always been a bit funny with shower gels, and basic super market brands or 'whatever's on offer', doesn't really do it for me. I love a bit of a gimmick. Soap & Glory's fun names and yummy scents or Victoria's Secret's pretty, girly packaging always lures me in. So when I read about this product, 'This luxurious body wash transforms from a smooth gel into an abundance of rich, creamy lather that glides across your skin like silk. ', it's safe to say I was pretty excited to give it a go! I've had a few of the Rituals Foaming shower gels and I absolutely loved them, however I did think they were slightly expensive for a shower gel. Imperial Leather Foamburst though, is every bit as amazing as those! They come out initially as a gel like consistency, which quickly turns into a foam when you rub it onto your skin. 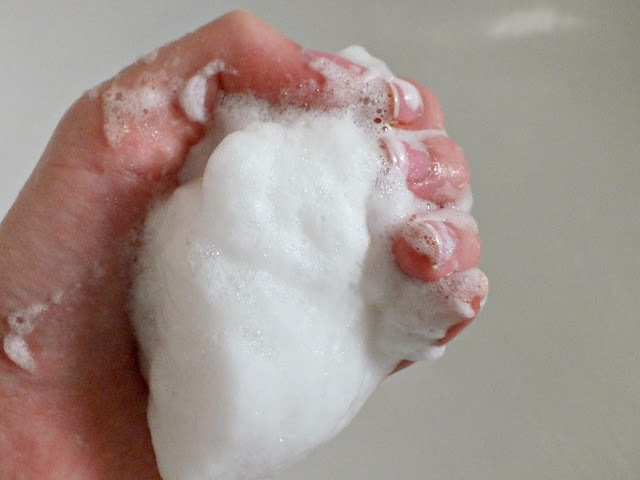 As promised, this product feels super luxurious and silky on the skin, the masses of foam make me feel really clean too! As this is a gel to foam product, it makes it perfect for shaving. I've shaved my legs with this a couple of times and it's been amazing. The one I have, Sweet Vanilla and Cherry Blossom, smells absolutely gorgeous, it's sweet and girly but very light and clean smelling. It's actually knocked my Victoria's Secret 'Such a Flirt' shower gel off the shelf, which says a lot for this beautiful little bargain! I really want to try the other scents when this runs out, I think 'Spicy Ginger & Orange' and 'Lime & Grapefruit' sound just perfect for a morning pick me up! Other Scents include 'Bergamot & Sea Minerals', 'Honey & Almond Milk', 'Green Tea & Jasmine' and 'Blackberry & Wild Fig'. I've found these on offer for just £2.00 each at Superdrug, so I'd definitely recommend giving these a go if you love a luxurious shower gel. What do you think? 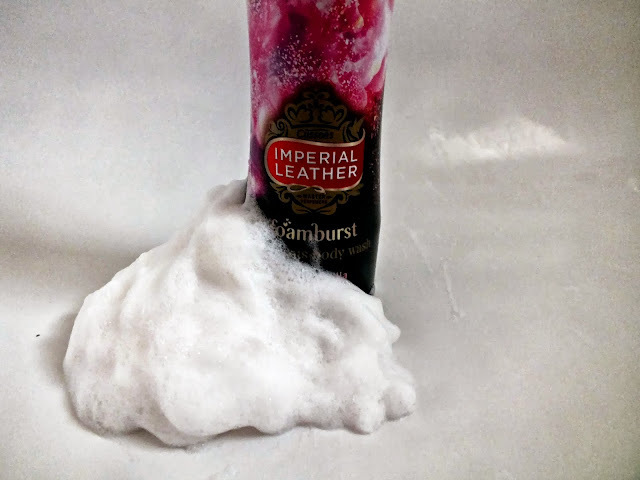 Will you be picking up one of the Foamburst Shower Gels? Great post! I absolutely adore this shower gel, so luxurious! The scent sounds amazing. I love cherry blossom!